When Christine Ten Eyck, FASLA, moved to Austin in 2007 to start a new branch of her firm, which was based in Phoenix, she had only one employee there: herself. Today, the Austin office of Ten Eyck Landscape Architects has grown to nine people. And it is hiring. Her Phoenix office has not done as well. In a note yesterday to her clients and colleagues, Ten Eyck announced she would be closing the Phoenix office, which has six people, at the end of the year. Ten Eyck first won admiration and awards with landscapes that use a lot of Sonoran natives. We did a story about her mid-career move to the Texas Hill Country in the February 2011 issue of LAM. 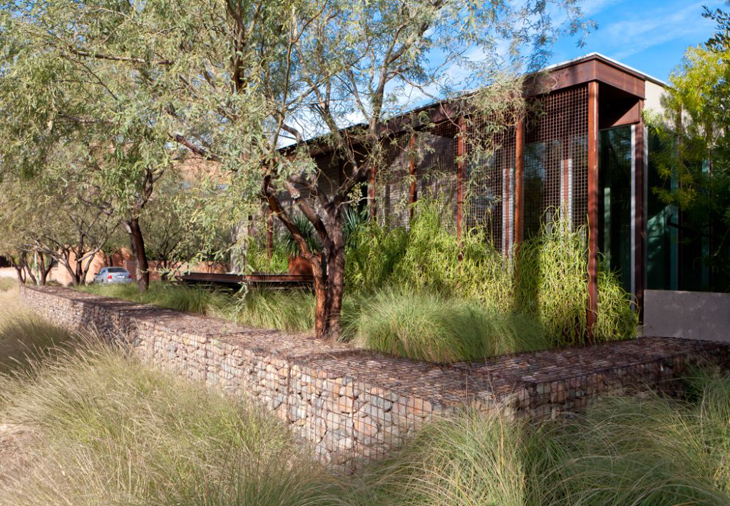 At that time, Ten Eyck Landscape Architects had six people in Phoenix and only three in Austin. The Phoenix office would often help with projects in Texas. That worked for a while, but it was not ideal—particularly when it came to the sort of design charrettes Ten Eyck loves. “There’s just nothing like the collaboration you have when everybody’s in the office at the same time,” she says. And it’s easier to get Texas employees to Texas project sites. As Ten Eyck grew her Austin office, she sent less work to Phoenix. She tried to get her longtime collaborators Todd Briggs, Judeen Terrey, and Roger Socha to move to Austin, but they wished to stay put. Terrey plans to take some time off. Briggs and Socha are opening a new firm, TRUEFORM Landscape Architecture Studio. “I’ve encouraged all of our clients there in Phoenix to stay on with them if they want to,” Ten Eyck says.